The best solution when you have limited space or have dual-purpose rooms, our guest beds are convenient and great value. 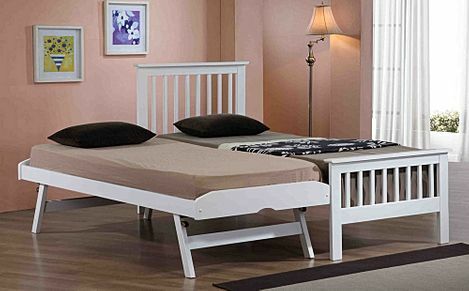 We all have times when we need to accommodate overnight visitors and a guest bed is a convenient solution. Guest beds save on space and can quickly be brought into use, whether you have friends or family to visit or when your children have sleepovers. A simple aluminium folding bed with a foam mattress on wooden slats can be stored in the cupboard or under the bed and brought out when required. 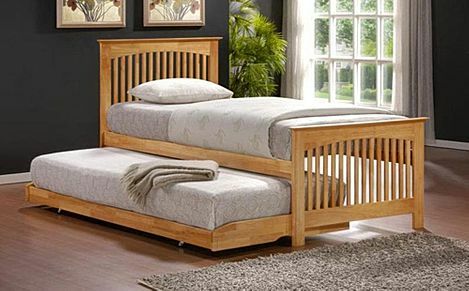 Alternatively, you can choose a single bed with a traditional bed frame made from solid wood, that features a guest bed that pulls out from underneath, which can either be kept separate or even raised to the level of the other mattress to form a super king size sleeping area. Guest beds are perfect for when there's a busy holiday period coming up or simply to ensure you are prepared if unexpected guests descend. 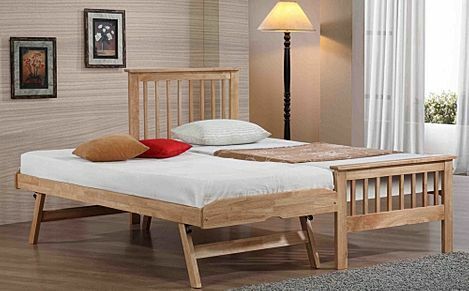 With free delivery to most of the UK, you can expect to have your guest bed delivered and ready in no time at all.